I am a firm believer in that powerful line from Paulo Coehlo’s novel The Alchemist : “When you want something, all the universe conspires in helping you to achieve it.” I realized the power of positive intention only a few years ago, and it keeps getting re-affirmed in my life. 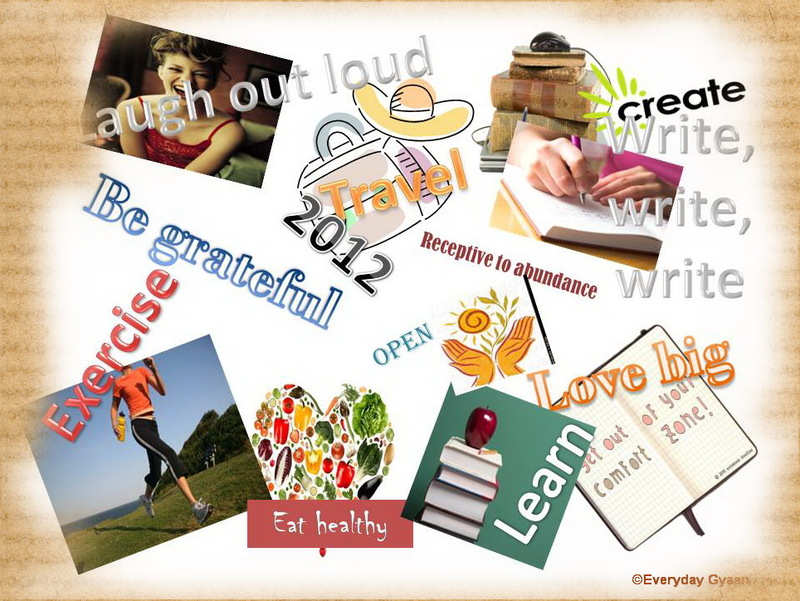 So on the threshold of 2012, inspired first by Dangerous Linda and then by Pamela, I have worked on my vision for the year. I am sharing it with you in the hope that it will inspire you to do something similar. Here’s to 2012 ….let’s make it the best year yet! The list looks awesome and a humble suggestion to make it better next time. Its a little difficult to read and you may consider increasing the user experience, next time. It would be great if you could give a clear view like the picture that you had posted to depict your life. Hope this helps. I guess I should do something like this to keep me focused and realistic. Thanks, dear Corinne for this post last year. I can’t believe I missed this! I just did a ‘google search’ on Dangerous Linda Images and came across this post — hehe! So, are you still working this Vision Board? And how’s it going??? And you are partly to ‘blame’ for it, @2547a92876a9b90f4e05e67f0403be7b:disqus . Love ya! Ohh, love it, Corinne! So happy for you! It’s inspiring! Thank-you for sharing it with us!